ANOTHER day, another reason to bang your head against the wall and scream "WHAT THE HELL ARE THEY THINKING?" 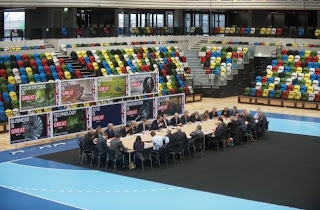 Example number one: the Cabinet yesterday held its weekly meeting in the handball arena at the Olympics park. Let's leave aside for a moment the fact there is a perfectly serviceable Cabinet meeting room in Downing Street, and let's also ignore the local paper photocall of some men in shirt sleeves sitting around a table looking bored, which after many years of painful experience I can tell you looks more like a town council bypass planning sub-committee than a meeting of world statesmen. Let's concentrate instead on what our beloved Prime Minister Dishface said afterwards. 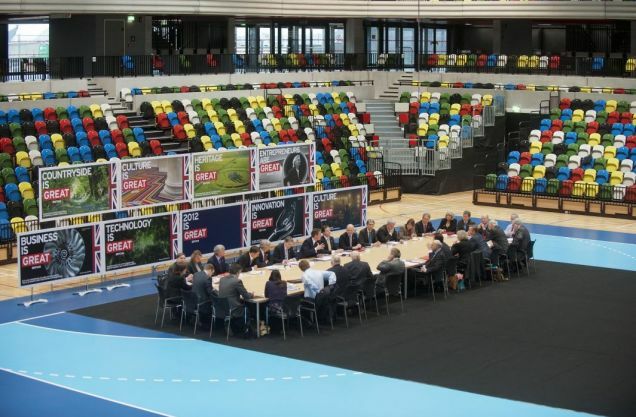 He urged people complaining about the Olympics to "stop grumbling" and added: "This summer’s Olympics will put the eyes of the world on Britain as we host not just an unparalleled sporting spectacle, but also a chance for companies from across the globe to interact and do business here in the UK. We expect these events to generate at least £1billion for British businesses and they are vital to our efforts to secure a long-term return to sustainable growth." Sounds marvellous, doesn't it? The answer to all our problems. But hang on, just one cotton-picking minute, sonny Jim. The Olympics are going to make us £1billion? One whole billion British pounds? That is exactly the same amount we've made from people buying copies of Kate Middleton's frocks. And she hasn't cost us nearly as much as the Olympics so far. Because the cost of the Olympics, while it repeatedly comes in "on-budget", keeps being ratcheted up like a 15-year-old's school skirt once she's left the house. It was originally £2bn, and today the "on-budget" cost is £9.3bn. So our return on investment, as a nation, is going to be a loss of 89 per cent. Yes, I think we can all agree, this is an unparalleled spectacle. It's the kind of thing we can tell our grandchildren about in the years to come: "And then the people in charge decided money was unnecessary, largely because they'd pissed it all up the wall anyway, and we started using tears as currency instead." 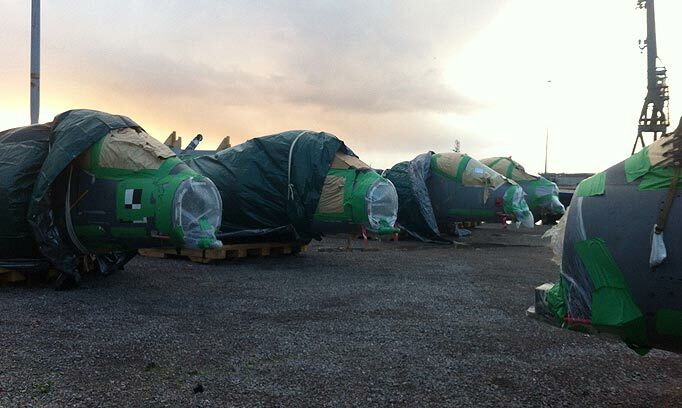 On the very same day, this picture emerged of our former squadron of Harrier jump jets - one of the greatest British engineering feats of modern times, versatile, beloved, brilliant, and above all quite cheap to run - decommissioned, taped up and bought by the Americans to use as spares for their own Harriers, which they want to keep in service. Now I'm no economist, but it occurs to me that a nation which gets a better return out of a human coat-hanger and scrap metal trading than regeneration and financial acumen is arguably on its arse. And we wonder why Scotland wants to leave. All aboard, and bagsy the whisky.